The Florida Association for Community Action welcomes the Florida Community Action Network, the Florida Weatherization Network, and all affiliates to register for its 39th Annual Training Conference, May 14-17. To register, click "Fees" on the menu bar to the left. This year's conference will be held in the beautiful city of Tampa at the Grand Hyatt Tampa Bay. Room rate is $159 per night. See hotel contact information on the menu bar to the left under "Location" to book your room. 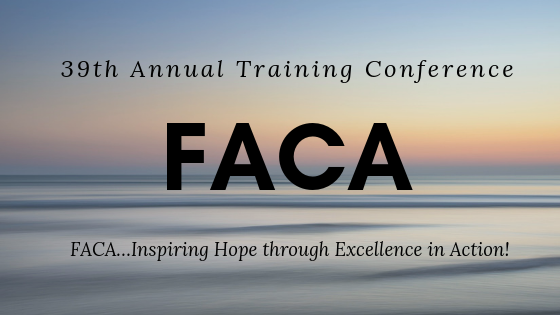 Please use "FACA Conference" when booking.To reserve a room, click HERE or call at (813) 874-1234.